Lakeshore Learning: Saturday 6/23 from 11am-3pm, Design your own Summertime Door Hanger for Free! AC Moore: Saturday 6/23 1-3pm, Demonstration: Wilton Fondant Fun. Michael’s: 6/23 1/4pm. Passport to Imagination Poland. Check to see if your local Michael’s is participating. 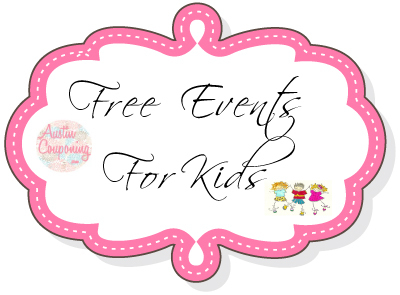 The event is free for children 3 and up from . Disney Store: Satuday 6/23- Sunday 6/24. Join Disney Store for in-store activities as we celebrate the upcoming release of Brave in theaters June 22! Lowes Build and Grow: Saturday 6/23 10am & Sunday 6/24 2pm Alex and the gang are back this weekend! Register your child for this clinic and they can build this awesome Luxury Assault Vehicle from Madagascar 3! Lowe’s Build and Grow is FREE and your child will receive the kit to build, free apron, goggles and patch. This entry was posted in Free Events, Free for Kids, Free Fun, Freebies, Fun Friday and tagged Disney Store, Free, Imagination Poland, kids by AustinCouponing.com. Bookmark the permalink.